In particular, Kirch focuses on human ecology and island adaptations, the complexities of island trading and exchange systems, voyaging technology and skills, and the development of intensive economic systems linked to the growth of large populations. I found it an invaluable background for some of the information I was looking for on Polynesian settlement of the Eastern Pacific. Among these indigenous Oceanic cultures are the intrepid Polynesian double-hulled canoe navigators, the atoll dwellers of Micronesia, the statue carvers of remote Easter Island, and the famed traders of Melanesia. Some of these are especially salient, including increasing recognition of the importance of trade networks and the environmental and ecological changes wrought by human agency. Years later, I stumbled on this no doubt because it was assigned to local undergrads. How did they discover and settle the thousands of islands? The Pacific Ocean covers one-third of the earth's surface and encompasses many thousands of islands, the home to numerous human societies and cultures. You need a boat to get from Southeast Asia to Papua New Guinea, but you will never be out of sight of land. The Pacific Ocean covers one-third of the earth's surface and encompasses many thousands of islands, the home to numerous human societies and cultures. When farmers cleared the trees to plant crops they disrupted ancient nutrient cycles. . Among these indigenous Oceanic cultures are the intrepid Polynesian double-hulled canoe navigators, the atoll dwellers of Micronesia, the statue carvers of remote Easter Island, and the famed traders of Melanesia. The E-mail message field is required. One of them looms large, while the other is of perhaps marginal interest—but together they strike me as ways to prise open some of what underlies his perspectives. This updated edition, enhanced with many new illustrations and an extensive bibliography, synthesizes the latest archaeological, linguistic, and biological discoveries that reveal the grand sweep of ancient history in the Pacific Islands. He also draws on his own original field research conducted on many islands, ranging from the Solomons to Hawai'i, as he takes us on an intellectual voyage into the Oceanic past. 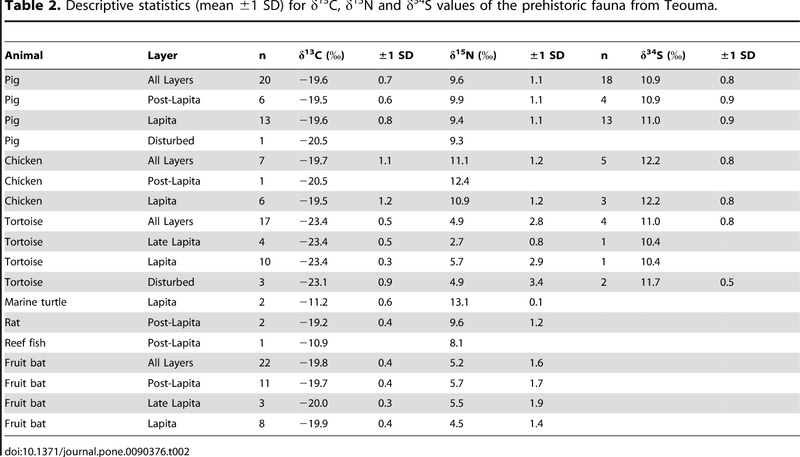 Recent archaeological excavations, combined with allied research in historical linguistics, biological anthropology, and comparative ethnography, have begun to reveal much new information about the long-term history of these Pacific Island societies and cultures. Recent archaeological excavations, combined with allied research in historical linguistics, biological anthropology, and comparative ethnography, have begun to reveal much new information about the long-term history of these Pacific Island societies and cultures. They're all tiny islands isolated by hundreds of miles of water. The book is certainly primarily archaeological, but all disciplines come into play at various places. Perhaps the most striking cases are in some of the geologically older islands, where soil fertility depended in part on the guano of the millions of seabirds nesting in their forests. Erosion washed soil off the slopes, and farming techniques, labour practices, and social organization were all transformed as intensive pond-farming of taro and other crops supplanted much less-intensive practices. It begins with the earliest human colonization of Sahul and goes all the way to the full flowering of Polynesian kingship in Hawaii. Farming practices and population growth and movement have long threatened catastrophe on some of the islands, and necessary adaptations to environmental challenges—whether natural or human induced—have always proved a part of reality in Oceania. No one knows this material as well or can present it in such an effective manner. 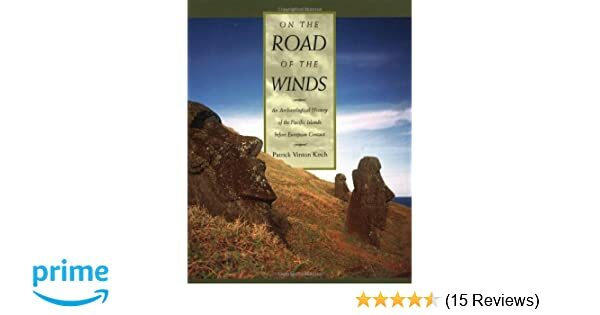 On the Road of the Winds synthesizes the grand sweep of human history in the Pacific Islands, beginning with the movement of early people out from Asia more than 40,000 years ago, and tracing the development of myriad indigenous cultures up to the time of European contact in the sixteenth to eighteenth centuries. I said: the Polynesian diaspora. When I began studying the anthropology of the Pacific Islands fifty years ago, I had to choose between pursuing ethnography or archaeology. And yet who the Lapitans were - their beliefs, how they lived, how they managed to occupy a larger share of the world than any other culture, past or present, is mostly a mystery. Among these indigenous Oceanic cultures are the intrepid Polynesian double-hulled canoe navigators, the atoll dwellers of Micronesia, the statue carvers of remote Easter Island, and the famed traders of Melanesia. Why did they build great monuments like Nan Madol on Pohnpei Island in Micronesia or the famous Easter Island statues? The opening and concluding chapters were especially informative and powerful. Among these indigenous Oceanic cultures are the intrepid Polynesian double-hulled canoe navigators, the atoll dwellers of Micronesia, the statue carvers of remote Easter Island, and the famed traders of Melanesia. Indeed, emphasizing where he can aspects such as settlement patterns, economic systems and their intensi®cation, palaeoenvironmental indications of land use and misuse p. Yet Lapitan pottery has been found on atolls with nothing but hundreds of miles of water on all sides. Did people just get in a boat, sail around for a couple of weeks, and come back if they didn't find land? On the Road of the Winds: An Archaeological History of the Pacific Islands before European Contact review. How did they discover and settle the thousands of islands? As a raw newcomer to Pacific archaeology, I sometimes felt buried in a welter of pottery shards. 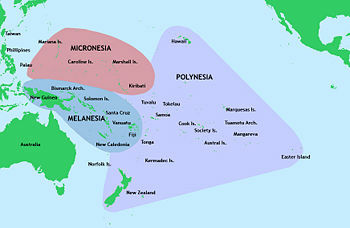 If you think about it, the settling of Melanesia, Polynesia, and Micronesia is one of the most amazing accomplishments of any group of people ever, and the Lapita culture did it without using compasses, without ships that were nailed together, without metal. Questions that scholars have posed and puzzled over for two centuries or more are illuminated here: Where did the Pacific Islanders come from? So how did anyone settle Easter Island, Pitcairn, Vanuatu? Decades of archaeological excavations, combined with allied research in historical linguistics, biological anthropology, and comparative ethnography, have revealed much new information about the long-term history of these Pacific Island societies and cultures. I found the book an excellent survey of what is and is not known about the human settlement of the Pacific and the economic and social structures of the societies involved. This updated edition, enhanced with many new illustrations and an extensive bibliography, synthesizes the latest archaeological, linguistic, and biological discoveries that reveal the grand sweep of ancient history in the Pacific Islands. Well, how do they find the place they came from if they've been floating around the Pacific without a compass for days at a time? His passion for his subject infuses this meticulously documented, beautifully written, and fascinating history. On the Road of the Winds synthesizes the grand sweep of human history in the Pacific Islands, beginning with the movement of early people out from Asia more than 40,000 years ago and tracing the development of myriad indigenous cultures up to the time of European contact in the sixteenth to eighteenth centuries. Peter White, University of Sydney, Australia If I had been asked to predict the kind of synthesis Pat Kirch would write, it would have matched On the Road of the Winds pretty closely. This book provides an up-to-date synthesis of archaeological and historical anthropological knowledge of these fascinating indigenous cultures. Berkeley: University of California Press, 2000. So how did anyone settle Easter Island, Pitcairn, Vanuatu? Why did they build great monuments like Nan Madol on Pohnpei Island in Micronesia or the famous Easter Island statues? Rich food for the imagination. While the broad outlines of settlement and social processes in the Pacific Islands have become well-known, ongoing excavations in the past two decades have rewritten a great many of the details. You need a boat to get from Southeast Asia to Papua New Guinea, but you will never be out of sight of land. Berkeley: University of California Press, 2000. On the Road of the Winds synthesizes the grand sweep of human history in the Pacific Islands, beginning with the movement of early people out from Asia more than 40,000 years ago, and tracing the development of myriad indigenous cultures up to the time of European contact in the sixteenth to eighteenth centuries. Massive in scope both chronologically and geographically, this work manages to give a fairly detailed survey of Oceanic archaeology while remaining readable, although some basic knowledge of archaeology is assumed. Undoubtedly, with persuasive accounts of areas and times, often enlivened by the personal reminiscences of a widely experienced researcher. How did they discover and settle the thousands of islands? Questions that scholars have posed and puzzled over for two centuries or more are illuminated here: Where did the Pacific Islanders come from? This book provides an up-to-date synthesis of archaeological and historical anthropological knowledge of these fascinating indigenous cultures.